Completely hydrostatically controlled. The tracks that this trencher rides on makes it easy to steer with the hydrostatic controls. Digs to a 36" depth, 4" wide and weighs 1600 lbs. 36" wide. Cannot be loaded into a pickup truck, requires using a trailer with ramps or you rent our tip trailer. 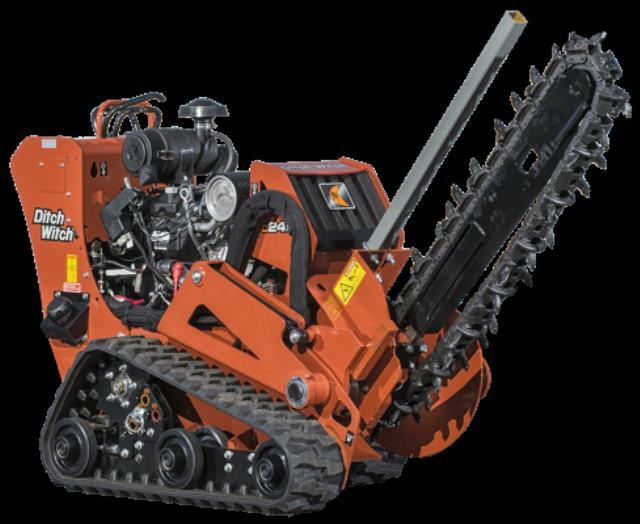 * Please call us for any questions on our 36 inch tracked trencher rentals in Calgary, Alberta.